Genetic testing is a type of laboratory test used to diagnose inherited diseases like HHT. DNA (genetic material carried in cells) is extracted from a small sample of blood or saliva and analyzed to identify a change (mutation) in one of the HHT genes. Once genetic testing has established the gene mutation which causes HHT within a particular family, this information can be used to help diagnose other members of the family. Cure HHT strongly encourages individuals and families to arrange genetic testing through a health care provider who understands all of the complexities and limitations of genetic testing for HHT. In most cases this means having an appointment with a medical geneticist or genetic counselor. Important Note: Genetic testing technologies have advanced over time, and will continue to improve in the future. People from HHT families in which a mutation has not been identified, or was considered to be of uncertain significance, should periodically check back with the testing laboratory or a genetics professional to find out if additional analysis would be useful. 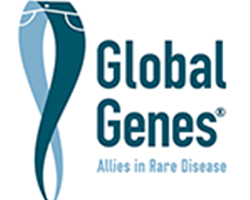 Although a handful of people in the world with HHT have been reported to have a mutation in the BMP9/GDF2 gene, it is so rare (<<1%) that it is not typically a part of routine genetic testing for HHT. *Because 15% of people diagnosed with HHT do not have a mutation in one of the identified HHT genes, a negative genetic diagnosis does not necessarily mean that a person does not have HHT. There are likely other genes that cause the symptoms of HHT that have not yet been identified. If you have a direct relative who has been genetically diagnosed, genetic testing would be done to test for the presence or absence of the mutation that was identified in your family member. The presence of the family HHT-causing mutation would prove HHT, while its absence would rule it out. Unless HHT is ruled out by genetic testing, all children of a parent with HHT should be screened for brain and lung AVMs. For young children, these procedures require sedatives, or general anesthesia, but they are critical to establishing proper diagnosis and care. If an HHT mutation has already been identified in a family, genetic testing of at-risk family members for the known mutation will identify which family members have HHT and therefore need to be screened for internal AVMs. Positive for a “pathogenic” (HHT- causing) mutation; the laboratory found a mutation (change in DNA) in one of the HHT-associated genes, and the mutation is thought to cause HHT. This means that you have been genetically diagnosed with HHT and your DNA results can be used to help identify other affected family members. Negative. In most scenarios, this means a person does not have HHT. In 10-15% of cases, a negative result indicates that a person has HHT, but the affected gene is still unknown. Variant of Uncertain Significance. This means a genetic variant is detected in one of the HHT genes, but it is not possible to confirm that it is the cause of HHT. Positive. This result means that the family HHT gene mutation is present, and that you have HHT. Negative. This result means that the family HHT gene mutation is not present, and that you did not inherit HHT. How do I go about arranging for genetic testing? We encourage families to visit an HHT Center of Excellence because they provide the most comprehensive expert care. If you are not able to travel to a Center, then most primary care providers will be able to order the test, though they may want to consult with an HHT Center. A physician may also refer you to a lab that offers testing for HHT and employs genetic counselors who can assist care providers with test ordering, facilitate sample collection and shipping, and help to interpret the results. If your family can’t travel to an HHT Center, and your primary healthcare provider is unable to order HHT genetic testing, a referral to a medical geneticist or genetic counselor may be needed. Contact Integrated Genetics to learn more about their HHT specific genetic counseling services. I have HHT and want to know if my children have HHT. What do I do? If you have HHT, there is a 50% chance that your child has inherited the disorder. Establishing a diagnosis at a young age can be crucial to improving their quality of life! You or another affected family member should seek genetic testing to identify the HHT-associated gene. HHT families will share the same mutation-affected gene, so if one person has been genetically diagnosed, other family members can be diagnosed by comparing DNA. The test ordered to look for a pre-determined, family mutation has several names, including “Site Specific”, “Familial Mutation” and “Targeted Sequencing”. HHT does not skip generations! If a child tests negative for the family-affected gene, that child does not require any further evaluation and will not pass on HHT to future generations. If you test positive, keep your test results! Your test results can be used to diagnose family members. You should also be screened for manifestations such as AVMs in the brain and lungs. Are there genetic counseling services available? It would be recommended that you visit and HHT Center of Excellence and discuss your family history and genetic testing options with the genetic counselor on staff. If you are unable to visit an HHT Center, then Integrated Genetics_HHT Genetic Counseling Services. If your physician refers you to genetic counseling for HHT you can access the online scheduling system or call 855-422-2557. How much does genetic testing for HHT cost and will my insurance pay for it? The cost of genetic testing varies. The initial test to determine the affected family gene can cost $2,000 or more. Once the family gene is identified, a test for another family member typically costs $300-$400. Most insurance policies cover genetic testing as a standard lab procedure. Pre-authorization is often required, but physicians or genetic counselors who are familiar with genetic testing are also familiar with pre-authorization and will be able to help you through the process. It is rare for an insurance policy to specifically exclude genetic testing, but labs are equipped to assist patients in verifying their coverage. Does testing positive for a mutation in an HHT gene lead to insurance discrimination? The short answer is no, but it’s normal to feel concerned or anxious that testing will prevent you and our family from obtaining health insurance, or to worry that you will be charged more than other people. The 2008 federal Genetic Information Nondiscrimination Act (GINA) prohibits a health insurer or employer from discriminating against an individual based on that person’s risk for disease as determined by a genetic test. Legally, health insurers cannot use genetic test results as a basis for determining eligibility or premiums, and employers cannot use them as a basis for hiring, firing or other terms of employment. Most states have additional laws prohibiting various forms of discrimination based on genetic test results. These laws do not currently extend to life insurance – companies are permitted to consider genetic test results when reviewing an applicant for life insurance.